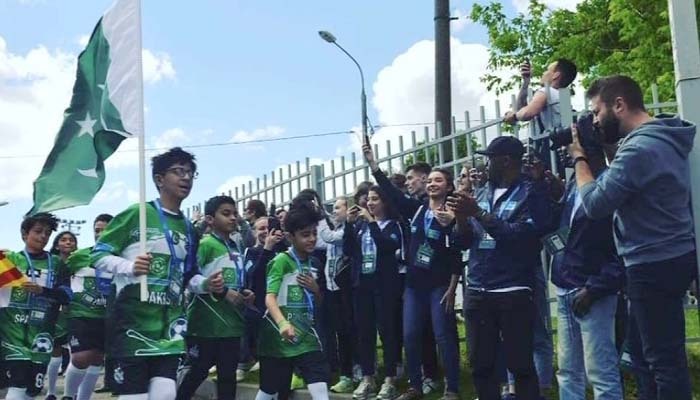 Although Pakistan have never made it to the quadrennial international football tournament, the country’s flag will be waved at the opening ceremony of the FIFA World Cup 2018 in Moscow, Russia. 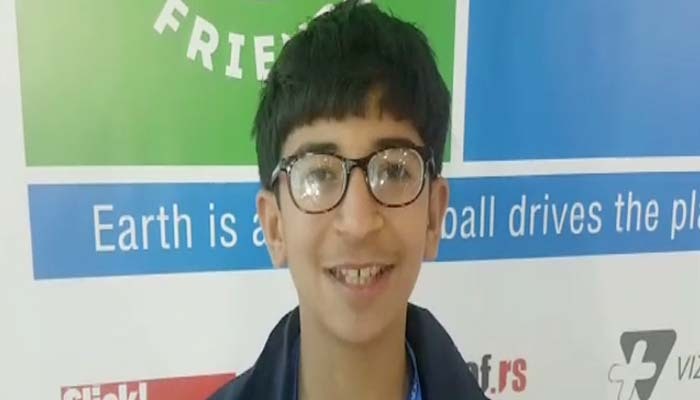 Sarang Baloch, a footballer from Dera Ismail Khan, will wave Pakistan’s flag at the opening ceremony, Football for Friendship programme coordinator Fahad Khan said. Baloch is the FIFA-sponsored programme's Young Ambassador . “It is an honour for me to be Pakistan’s flag-bearer at the mega-event,” Baloch said. The 2018 FIFA World Cup gets under way on Thursday when hosts Russia face Saudi Arabia following an opening ceremony at Moscow's Luzhniki Stadium. The ceremony will start at 3:30pm BST (7:30pm PST), just 30 minutes before the opening game. The event will focus on a series of musical acts, with Robbie Williams headlining. Around 500 dancers, gymnasts and trampolinists will also be performing in an opening extravaganza that will pay homage to all things Russian.